Yes, that's the perfect entertainment stand and toy storage solution! Great job! Are you a fan of using pocket holes? Amazing! That is going to be the perfect outdoor oasis, for every season. It's a lot of work, but you are going to love it. Keep us posted! Oh yeah, we love that roof and the burned grain finish. Looks awesome! Awesome job! Teamwork makes the dream work. Thank you for sharing! Thank you! More pictures to come. Nice! Very clever modification. We are sure she loves it! This looks amazing! Great work! 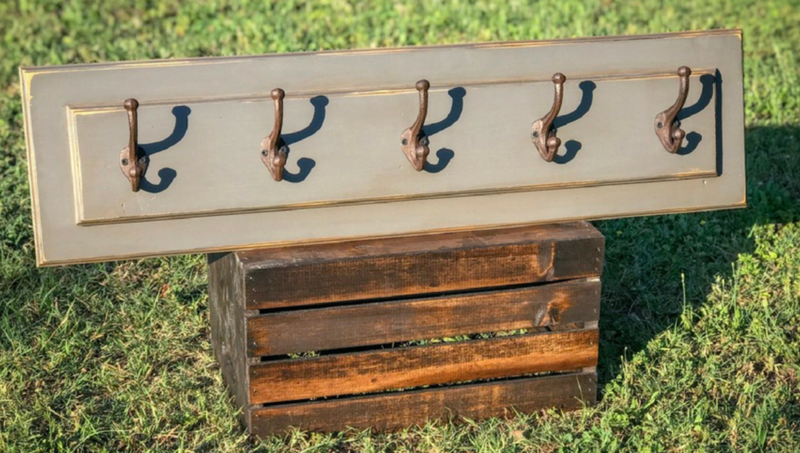 Reclaimed shelf with coat rack. Beautifully done! The stain colors you've chosen to finish it with really take it to the next level. Thanks for sharing!